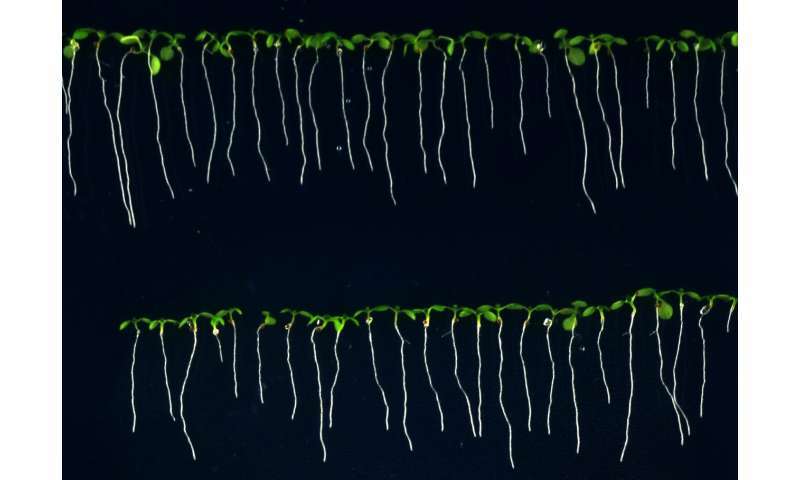 Researchers from the Centre for Research in Agricultural Genomics (CRAG) and La Salle-Ramon Llull University, both in Barcelona, Spain, have developed software that uses image processing and machine learning to semi-automate the analysis of root growth of Arabidopsis thaliana seedlings growing directly in agar plates. The software, named MyRoot, is available to the research community free of charge. CRAG researchers have already saved significant labor and time using MyRoot. The high efficiency and accuracy offered by MyRoot has been demonstrated in an article in The Plant Journal. The root, which is responsible for anchoring the plant to the soil, is an essential organ for overall plant growth and development. Roots provide the necessary structural and functional support for the incorporation of nutrients and water from the soil. Characterization of different root traits is therefore important not only for understanding organ growth, but also for evaluating the impact of roots in agriculture. At CRAG, the research group led by Ana I. Caño-Delgado studies steroid hormone signaling effects on root development using the small model plant Arabidopsis thaliana. To do so, researchers at Caño-Delgado's laboratory must measure the root length of a large number of arabidopsis seedlings bearing different genetic modifications and exposed to different conditions. Thanks to these investigations, they recently discovered how to create drought-resistant plants without affecting their growth. Isabel Betegón-Putze spent three years doing her doctoral thesis at CRAG, and during this time, she has spent many hours measuring arabidopsis roots with the photos she takes. "I had tried some semi-automatic analysis softwares but they were not accurate enough and were very difficult to use," explains Betegón-Putze. Her thesis director, Ana I. Caño-Delgado, proposed to collaborate with the engineer Xavier Sevillano, from the Research Group in Media Technologies at La Salle, to develop a new software that streamlined this process. Following Caño-Delgado's indications, Isabel Betegón-Putze worked hand in hand with the computer engineer Alejandro González -from Sevillano's team- to design a user-friendly software. "One of the strengths of MyRoot is that, apart from being very precise, it is very usable for the end user. For this, it has been key to include plant biologists like Isabel in the development process, taking into account their opinions and needs ", explains Alejandro González. One of the challenges that the new software had to overcome was to replace a researcher trained in differentiating the stems from the roots in the small arabidopsis seedlings, since at this stage their appearance is very similar. To do it, the researchers used machine learning techniques, training the algorithm with seedlings of different ages and characteristics. "We have trained the system by exposing it to many different situations," explains Xavier Sevillano. "Thanks to the use of machine learning in MyRoot, the software is very accurate when measuring roots," he adds. In the article published in The Plant Journal, the CRAG and La Salle team compared the time needed for manual measurements with that of MyRoot, demonstrating that MyRoot reduces the time required to measure one plate by approximately half. MyRoot also give the most precise root length measurements when compared with similar softwares, suggesting that it could become widely used tool by the research community to perform high-throughput experiments in a less time-consuming manner. "We are very satisfied with the results obtained thanks to this collaboration with La Salle engineers, and we are already thinking of extending the project, taking it farther from the academic sphere," explains Ana I. Caño-Delgado. Actually, the researchers are already thinking of further automating this process by building a robot, which would limit even more the researcher intervention and would allow to analyse a large number of samples in a short time. "The next thing we want to do is to add hardware to the designed software," says Caño-Delgado. "If we also expand and train the software to be used with roots from different plant species, it could also be a very useful tool in the agricultural field," she adds.